Ashington 1950s 1980s. - a Memory of Ashington. 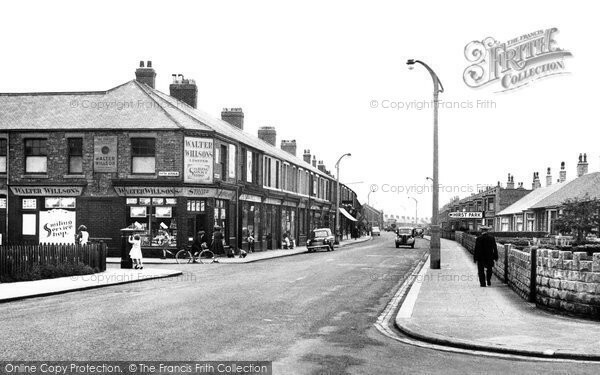 My mother's family lived in the Milburn Road area of Ashington from the 1920s. My mother met my father, a Londoner serving in the Army stationed at Acklington or thereabouts at the end of WW2. They married in Morpeth and subequently moved to London in 1948 where I was born. I have many wonderful memories of annual holidays in Ashington from the 1950s to 1980s when the last of the immediate family died. I recall the Wallaw Cinema next to Ashington Bus Station, and there was also a cinema at the end of Milburn Road opposite the White Elephant Public House, near to St. John's Church in Newbiggin Road. I also remember the store Walter Wilsons, and a butcher's shop at the White Elephant end of Milburn Road which sold the most amazing sausages! I only ever knew it as "Ted the Butcher's". I also recall Ashington Colliery where my uncle worked as a miner, Newbiggin beach when it actually had a beach, and other places and events too numerous to mention. Although I am a Londoner born and bred, Ashington was very much my second home during my childhood and will always have a special place in my heart. We scattered our parents' ashes in Rothbury, a place where they courted before marrying. Having travelled across the county over many years, Northumberland is for me the most beautiful and special county in the UK, and I have always found Northumbrians to be the most friendly and welcoming of people. Add a memory of Ashington.